Sep 05, 2016 Hi there- We apologize and take your feedback very seriously. Our pricing structure is based on a variety of factors including whether a gutter replacement is necessary, amount of stories on a home, and inside and outside corners and we strive to offer fair pricing to all of our customers. I worked as a Leaf Filter sales rep for about a year (in 2013). everything bad you have posted is true - and there's more. At the Friday morning sales meetings the reps and managers sit around a table laughing about the sales they made - mostly who could come up with a better lie to get a customer's signature. The reason they install jobs so fast . . is so customers don't wise up and cancel - seriously! The BOTTOM price managers can offer is $10 per foot plus $10 per corner. (the rep loses his fat commission at this point) If you place an order, then try to cancel b4 install, they'll give you this price. Reps get paid 10% commission at $22/ft and, NOTICE this, HALF of the money YOU pay above $22/ft. Review #712836 is a subjective opinion of User712836. Your experience as a BAD salesman has nothing to do with the performance of LeafFilter. I currently work for LeafFilter, for the last 5 years now, and everyone of my customers have my personal cell phone. If this didn't work my phone would be ringing of the hook! The fact is that this job isn't for everyone and clearly it wasn't for you. Consumer Reports HAS ranked it #1 and it still is. BTW these types of sites are horrible for any kid of business they have no sort of control and anyone can post anything!! Sound like a very disgruntled employee that got fired! 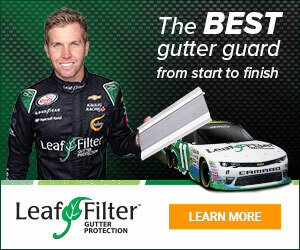 I have worked for Leaffilter for several years and in my travels to several of our offices around the country have NEVER encountered this kind of behavior. If you want an UBiased opinion of this product ,you wont find it here .Consumer reports did a 2 yr study on all gutter protection cos. The sales meetings are comical at best. The whole company leadership team is a disgrace to business. They care less than nothing about their employees and customers. Wow. That's a big swing in leaffilter cost. A leaf filter price per foot from $10 - $22? That seems extreme.